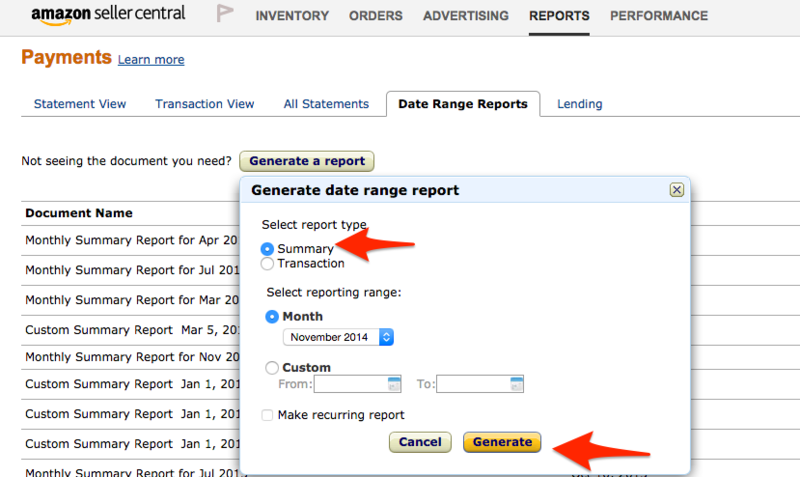 To reconcile numbers from Seller Central to InventoryLab, you will need to login to Seller Central and visit Reports>Payments>Date Range Reports. You will want to run a summary report for any given month or timeframe where the reports are completely reconciled in InventoryLab. You will not factor in other expenses such as Cost of Goods Sold, Office Supplies, Rent, etc, to this equation.